Personal privacy protection became a popular topic in the last few months. This is especially related to the EU General Data Protection Regulation (GDPR) which has become active in May 2018 and the Cambridge Analytica fiasco. Facebook has reacted almost immediately and provided tools for protecting and viewing your personal information. In this article, we will talk about what information does Facebook collect about you, why is it dangerous, and how to protect your privacy on Facebook in order not to become the victim of next “Cambridge Analytica scandal”, as well as doxing, phishing, social engineering, and so on. We could simply say “everything”, but it’s not that easy. The information stored on Facebook depends strictly on you and the accesses you granted on your devices. Since most of us don’t always pay attention to what we let devices or apps do, if you are an active user, you are likely to be shocked by the amount of data and the details Facebook knows about you. We’ll go into types of this info, and give you some tips on how to protect your privacy on Facebook. 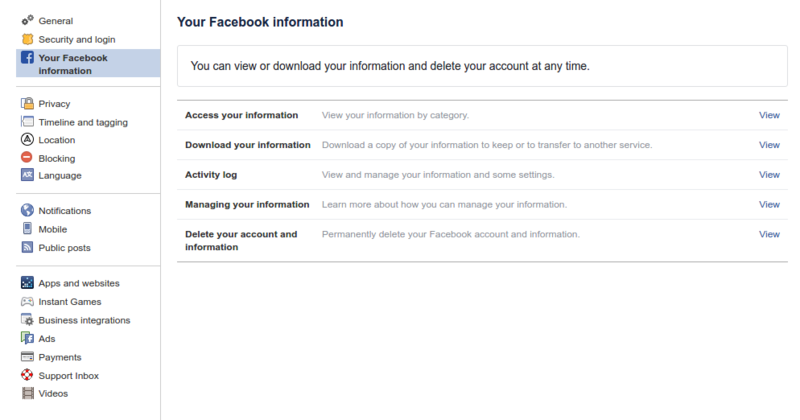 But before this, here are the instructions on how to download the information about you on Facebook. Log into your Facebook account and click on the arrow down in the right upper corner. From the drop-down list choose “Settings”. There you will see a message asking you to proceed to “Your Facebook information”. You can also find this option on the left side of the panel. From the “Your Facebook information” page you can view and download your full history. If you opt for downloading, it might take some time. The exact time will depend on how long have you been using the network, how active you were, and what kind of information you uploaded. The data will be provided to you in a form of a password protected zip. file. On the download page, you can also choose to have all data downloaded or just a certain period. You can as well choose types of information you want to obtain. The file can be downloaded in the HTML or JSON formats. The JSON format can be of use if you want to import the received info somewhere else. Once generated, the file will be available for download at the same page under the “Available Files” tab for four days. The index.html file in the root of the folder opens the archive in your browser. That will allow you to navigate through everything as you would any webpage. On this webpage, you’ll find out that Facebook knows your username, real name, password changes, the contacts of people whose Facebook profiles you linked with the numbers in your phone, your calls and messages (if you allowed the device to share those). Some other info provided in the file is your search history within Facebook, your location history (unless you switched it off), pages you administrate, your full message history within the network and many more. “Your Profile” section contains details such as your birth date, email, phone, relationships, the list of every single page you ever liked or followed, as well as groups, music, movies, and even clothes preferences. Ads folder shows files with all the ads you have shown interest in. This goes not only for sponsored ads displayed by Facebook, but also for any games, pages, or quizzes you took part in. In the “Comments” folder you can find every comment ever made by you on your friends’ pages or any pages and groups. However, that does not include your comments on your own page. And the feeds in which you left the comments can’t be accessed from the file as well. The “Events” folder is a gathering of all the events you have ever been invited to, including your responses to each of them. It also shows the events you have created. The “Followers” and “Friends” folders display respectively all the people who you are following or those who follow you and the friend list. The “Friends” folder also stores files with the lists of your accepted, rejected, removed, or sent friend requests. “Photos” and “Videos” contain details on all pictures and stickers ever uploaded or used and videos uploaded. In the HTML page for videos, you can also see comments to the videos, if there are any. In other folders you can also find your preferred pages, locations you checked in at, payments made, posts uploaded, network information, messages, and many more. All-in-all it can be a bit scary to see, especially if your Facebook account is synced with the devices you use. If you decided to delete your account because of this, you can proceed from the same page where you downloaded the file. The cancellation process takes 14 days. During this time you can reactivate your account. After the account is deleted, the information can not be retrieved anymore. If you are not ready to lose your account and all the data in it, you’ll find a full guide on Facebook data privacy below. Before you freak out about the whole thing and decide to delete your account, you should consider, that your information will still be stored on Facebook servers. Another important thing to know is that social media are not the only ones tracking and maintaining your information. For example, Google might track and store even more details about you than you can imagine. Your personal details like name, gender, birthdate, all about your interests and hobbies, where you work, where you live, what food and drinks you like, your phone number, latest job applications, emails, people you are in contact with, documents you store on Google Drive, your latest searches on Google and YouTube, even complete records of your voice when you interacted with Google Assistant, and so much more. The whole hassle about the Facebook privacy breach dates back to 2010 when the social network first launched the Open Graph platform. This provided a possibility for third-party developers to collect information from Facebook users. The tricky part of this is that users gave out this information willingly but had no idea to which extent their profiles were disclosed. In fact, the gathered information featured personal preferences and sometimes even private messages. According to the consent decree signed between the company and the U.S. Federal Trade Commission in 2011, Facebook has promised not to disclose any personal information of their users. But, with the business model ran by the corporation, it wasn’t that easy. The number of apps and quizzes gathering people’s information continued growing. And in 2014 the Cambridge Analytica company used this possibility to harvest the enormous amount of data. An app created by Alexander Kogan was suggesting users a small payment of $1-2 to take a quiz and disclose their information. The creators claimed that the info is gathered purely for academic purposes. Among other things, the users, who took part in this quiz, allowed the app access to their friend’s list. What they did not realize is that the application could also legally access their friends’ personal details. This resulted in a huge Facebook data leak. According to the reports about 300,000 people took part in the quiz. But, considering their friends’ involvement, the number jumped to approximately 87 million affected users in total. The collected data was stored in the database. After some Facebook privacy concerns start to arise, the company takes a step of sunsetting the Open Graph API in their system. However, their actions were not extremely proactive. In the meantime, the Cambridge Analytica (CA) continues using the previously harvested information to create psychological profiles for the potential voters of their client. Christopher Wylie, who left CA in summer 2014, was in the possession of a copy of the created database. Yet, he claimed his company had not used any info from it. FB claims to have removed Kogan’s app from their network in 2015, yet, the Facebook data controversy suggests that Christopher Wylie only received a request for the data removal in 2016. CA meanwhile continued using the information to create targeted ads for Ted Cruz and Donald Trump’s campaigns. The concerns regarding the privacy issues get more and more disturbing and in March 2018 the Facebook privacy scandal broke. The Observer and The New York Times released stories covering the information breach. Technically the Facebook Cambridge scandal cannot be considered as a breach in the system. This is based on the fact that the information was handed in by the users willingly. Still, tons of other people’s info was obtained without any agreement from their side and used for political manipulation. This created a number of questions to the CA and FB as a platform for data distribution. The reaction of the corporation to the Facebook scandal was also not one would expect. The CEO of the company, Mark Zuckerberg, took his time to present an apology to those who suffered due to the leak. He claimed that most of the issues have already been fixed from their side. The users were not amused by the little action and the situation in general, so many decided to fleet FB or at least try to take care of their privacy better since then. Many users started asking themselves what can they do in relation to the Facebook – Cambridge Analytica privacy issue not to become victims of any similar manipulations with their views. Unfortunately, the answer is, – not much. You can proceed with blocking ads within your Facebook account or removing it completely. This will prevent you from seeing the unwanted ads on Facebook. However, there are many other services and networks which collect your information. This includes search engines, communication apps, and so on. All free services we like so much earn their profit on advertising. And out personal data is what they hunt for to further sell it to advertisers. So, it is up to you to decide how to manage your personal information and how to avoid being manipulated by multiple ads on the net. You can share your solution in the comments, and, perhaps, it can protect someone else. First of all, we would like to say that it’s worth considering the necessity of posting something on Facebook in the first place. As much as helpful your posts can be, they can also be harmful. This goes from cases of personal abuse by random people to unwillingly giving out the information that can be used for robbery or identity theft. So, be sure you are not releasing your sensitive information. 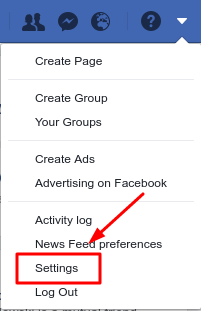 In fact, you can control the audience for most of your actions on FB. While some things, like your password or security settings, are private by default, you can also create privacy settings for your content and allow only certain people to contact you, or prohibit anyone to contact you at all. You can manage who can access, view, comment, share, or tag you in photos. You can limit your Facebook pictures privacy to the friends only, or ban certain people from particular actions. How to edit the privacy settings for photo albums you’ve posted? Go to your profile and click “Photos”. Click the album you want to change the privacy settings for. Click on the drop-down menu below “Privacy” to control who can see your album. 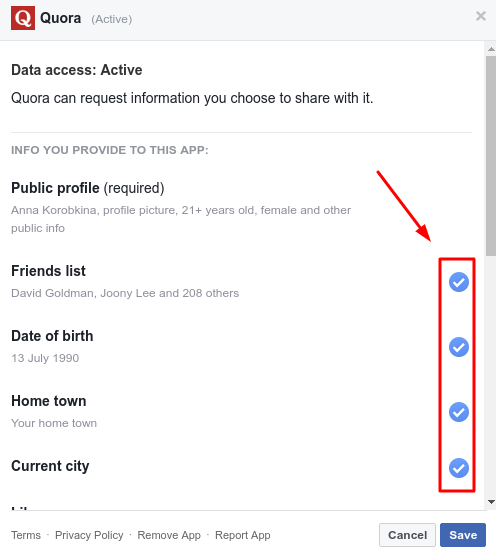 How to edit the privacy settings for individual photos in an album? Click the arrow sign in the top right next to the date of your photo. Is it possible to make Facebook cover photo friends only? The profile and cover pictures are, however, set to be public by default, as well as the comments and likes left for them. Unfortunately, the cover picture cannot be hidden. But, if you set the profile to public, you can limit non-friends from seeing any of your old cover pictures. FB already created settings dedicated to the cover and profile pictures privacy. Those are available under the Facebook privacy shortcuts but not everywhere in the world yet. How to secure your Facebook profile picture? Your profile picture can be hidden from the public by hiding your whole profile. But, in this case, you should note that those who are not on your friends’ list will not be able to find you. A small thumbnail of the picture will still be available for review. You can also consider removing a profile picture completely. For this, you need to open the picture, click on “Options” and choose “Delete this photo”. As an option, you can also consider putting an obscure photo instead of your own. There is also a “profile picture guard” option, which makes your profile picture non-downloadable and non-sharable for others. Besides, people, who are not included to your friends’ list, won’t be able to take screenshots of your profile picture on Android or iOS devices, as well as to tag anyone, including themselves, in your profile image. Click on your profile picture, and choose “Turn on profile picture guard” option. You’ll see a blue border and shield on the profile picture, which indicates that the protection is on. Click “Save” to save the setting. Apps you install request accessing quite a bunch of your data, including your friends’ list, your timeline and more. You can prohibit the access or limit it to your liking. This way the app will not be allowed to post on your behalf or invite your friends to join. You can also decide who is allowed to see that you actually have the app installed. You can also delete the apps you are not using anymore. The posts can be managed as the rest of your data. You can limit the posts to only be seen by you, your friends or ban certain people from seeing them. You can decide if they can be shared, commented on, etc. You can also limit your posts to be seen only by the members of the groups you are in. However, you should note that the settings of your last post are being used as a default setting for the next one. Friends is another category on Facebook that can be managed. Here are a few Facebook privacy tips for managing your friends’ list. How to make your friends private on Facebook? In order to make your friends list private, you need to click on your name in the top bar of your account and then choose the “Friends” tab. From there, you need to click on a small pencil icon in the right upper corner of your friends’ list, and proceed with clicking on “Edit Privacy”. On the pop-up page which appears you can manage, who can see your friends list, followers, and people you are following. How to limit who can send me friend requests? To limit the number of people who can send you friend requests, you need to go to your Settings. From there, choose “Privacy” on the left side of the menu. There you can manage who you want to be able to send requests to you. How to Unfriend or Block People You Don’t Know or Like? For unfriending and blocking people you will need to perform two separate actions. Unfriending will require you to go to your friends’ list and hover your mouse on the “friends” tag in front of the person’s picture. Then you will need to click “Unfriend”. The same can be done from their profile page. To block someone, you will need to go to the Settings, then continue to “Blocking”. From there you can choose the person you want to block from your account completely or someone you don’t want to receive messages from. 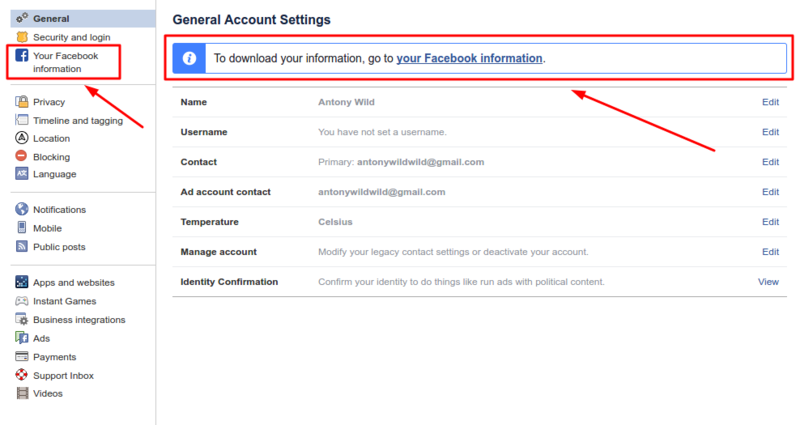 The advanced privacy settings allow you to extend the control over your account. You may limit the number of people who are allowed to view your pictures, posts, comment, or share anything you post. Even if you set your profile to be private, you will still have a possibility of setting certain posts to be publicly available if you need to. 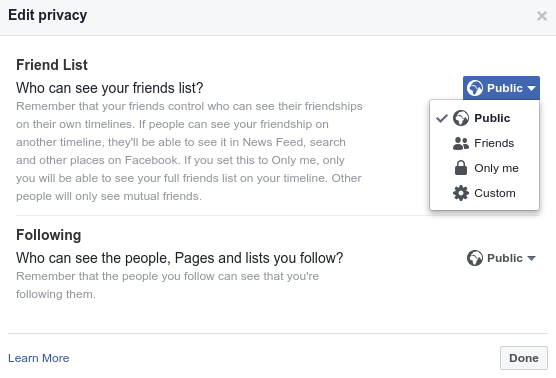 You can decide on your Facebook group privacy, who can tag you in posts and in pictures. Additionally, you can see how other people view your profile, depending on their access level. Below you will find instructions on some frequently asked questions about privacy settings. Can I Prohibit My Profile From Showing On Google? While there is no way of removing your profile from Facebook search, you can prohibit search engines like Google from displaying your account. To do that, you need to go to the Settings, choose “Privacy” in the left-hand menu. 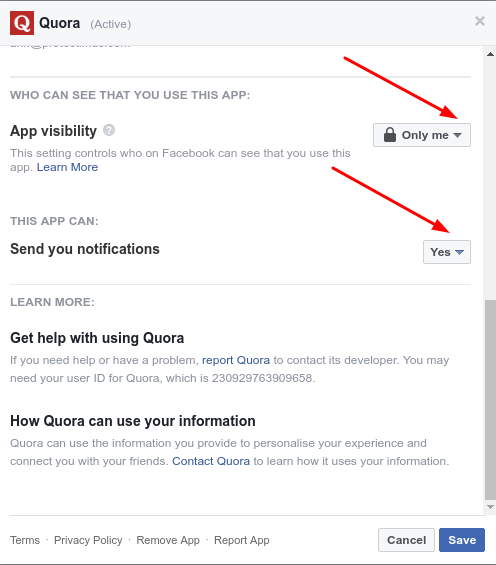 On the bottom of the page choose “No” for the “Do you want search engines outside of Facebook to link to your profile?” question. How Do I Check How Other People See My Profile? If you want to make sure the undesired audience does not see your private information, you can check how various types of users see your profile. For checking that, go to your profile page. On your cover picture, next to the “Activity Log” button, click on the three dots button. There, choose “View As”. On the top of the page, you can choose to view your page as a specific person. How Do I Protect My Location? If you don’t want Facebook to track your location, there are two things you can do. First of all, in any of your applications, you can choose to disable the location option directly in the post. If you want the location to be disabled by default, you need to go to Settings, choose the Location option in the left-hand menu and make sure your location history is off. How Do I Prevent People From Tagging Me/Remove a Tag? To control the tags you should go to Settings, in the left-hand menu choose “Timeline & Tagging”. From there scroll down to the “Review” section. There, you can choose to review all the posts or pictures you are tagged in. The review requests will later appear in your Activity Log. To remove an existing tag in a post or a picture, you need to go to the post, click Options and choose “Remove Tag”. You can deactivate or delete your account completely. The process of deactivation allows you to restore your account with all information available at any time. This means the info is being kept on Facebook servers eternally. People will still be able to find your profile, but no actions can be performed. The deletion of the account, however, involves the complete removal of your data. After the process is completed, there will be no possibility to restore data. Even though the process of account deletion takes 14 days (the time period when you can change your mind), the actual removal may take up to 90 days, depending on the amount of data in your account. You should also note, that even if you delete your account, the information will still be stored on Facebook servers for an internal amount of time. To deactivate your account, you need to go to your Settings, then on the General page settings, choose “Manage Your Account”. From there you need to scroll down to deactivate your account. This is also where you can set up a legal contact to take care of your profile after you pass away. The whole Facebook data scandal made a lot of users think more careful about what and with whom they share on their social network profile. It served as a wake-up call to many, who were oblivious about the effect of their actions online. The bottom line of everything said above is that everyone needs to remember that what has been once posted on the internet will remain there forever. Hopefully, the tips above will help you maintain your information more secure.